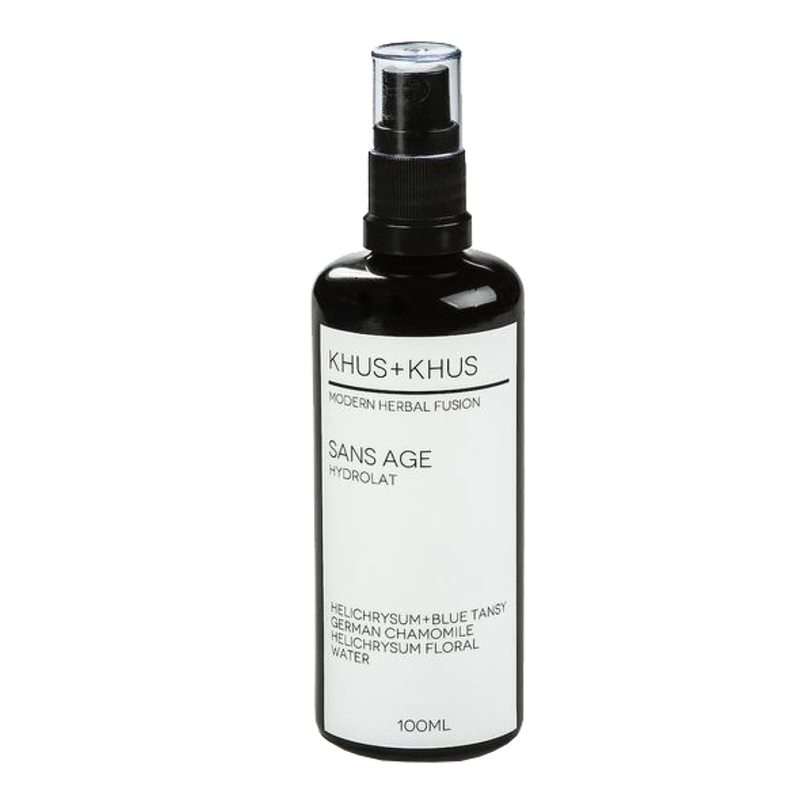 Sans Age Hydrolat by KHUS+KHUS uses organic and sustainably wild harvested ingredients to provide a look of relief from inflammation. Its key elements alleviates feelings of discomfort, and lend a detoxifying and balancing sensation. Sans Age Hydrolat makes skin feel calm and relaxed, while helping to relieve signs of nervous tension and boost a quality of good energy. Can be combined with face serums to assist in blending. Use throughout the day and night to lend a calming feel to the nervous system, perfume the body, and make skin feel hydrated.